Cook complete meals using nothing but wood scraps and yard debris with the Helius Rocket Stove. The Helius Rocket Stove is a durable, clean alternative to outdoor cooking, using readily available scraps as fuel instead of more costly alternatives like propane or briquettes. The design of the rocket stove heats to cooking temperatures in only a few minutes with only as much fuel as fits in the fuel magazine. 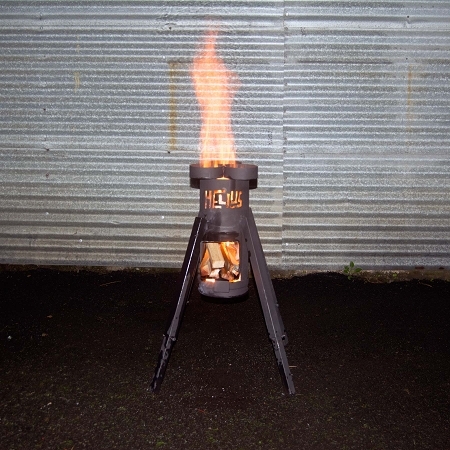 Helius Rocket Stove is amazing! I just received my Helius Rocket Stove. It is amazing! It is built like a tank. 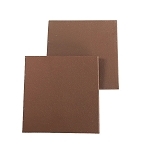 The adjustable legs, larger burning chamber and drop-down door to release ashes make it the best rocket stove on the market. We are very impressed with our Helius. I showed it at a class I taught regarding power outages and emergency preparedness and people thought it was pretty amazing. Had several inquiries. One lady wanted to buy one for each of her children for Christmas. I would highly recommend it. I have had my Helius for almost a year now and I am blown away with the quality and design! I bought it for myself originally but have since been using it on all of my scouting campouts. It has been so nice not having to haul around the propane tank and camp stove, just throw this in the back of your truck and have the boys collects some sticks and your off cooking in minutes. Personally just having this in my preparedness kit I feel confident I can cook for my family, boil water, or even pressure can if needed. This thing is built like a tank, well worth the money in my opinion.